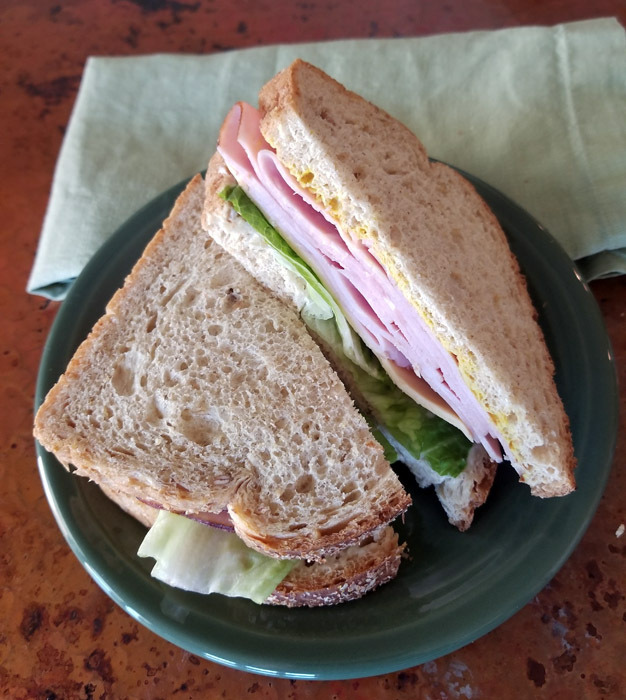 I am a sandwicher – a member of the Sandwich Generation. Most of my friends are sandwichers as well, and we often talk about what that looks and feels like. On Sunday, I was part of a group that was talking about this, and one person referred to it as feeling like a panini: being trapped in the middle while pressed between two great burdens that are burning him up. Ouch. How would you like to be the parents or the children of that person? How would you like to be him? Nevertheless, I have to admit, his comments, in relationship to the verse above, have caused me to stop and think, what does it really mean to be a sandwicher? Do we really have an unbearable burden? Or have we created the burden by taking on more than we are supposed to, or commanded to? This is not meant to diminish the burden that adult children of parents with Alzheimer Disease, or other debilitating illnesses must bear. It is not to discount the financial burden of long-term care that many families face. It is not to disregard the weightiness of caring for a child who will never be able to leave the nest. Those are very difficult burdens that must be borne, and it is our responsibility as Christians to come alongside in those situations and help bear them. But, for the rest of us sandwichers, are we taking on burdens that we were never intended to bear? The Apostle Paul tells us that anyone who does not provide for their relatives, and especially for their own household, has denied the faith and is worse than an unbeliever (1 Timothy 5:8); so, yes we do have a biblical responsibility to take care of everyone in our family, the generations before, and the generations after. Yet, God promises us that his commands are not burdensome. Let me say that again, God tells us himself that his commands are not burdensome. Yet, in the very next sentence, actually, he tells us that we have overcome the world. We know his commands – to take care of our families, and we feel the weight of our burdens, nevertheless, we’ve overcome the world. What does the world have to do with this? What is God saying to us? I think what he might be saying is that we are phenomenally blessed to have living parents and children who still want, perhaps even need us to be a part of their lives, but unfortunately, we sometimes let the pressures of the world make this load of blessing into a burden of despair. I think the sweet blessing of having older parents becomes a burden when we buy into the world’s thinking that we must, at some point, switch roles. That the child becomes the parent. Is that biblical? I’m struggling to find any place in Scripture that tells us to expect that, look for it, plan for it, or implement that plan. Yes, there may be times when we, as adult children, have to make difficult decisions on behalf of our parents, but our parents never cease being our parents, and we never cease being their children, and therefore, God’s commands never cease to be true. We must honor our parents as our parents. How do we as adult children honor our parents if we decide that we must become the parent? We don’t. Do you want to be treated as a child by your children? I don’t. Not now. Not ever. No matter how old I get, I always want my children to treat me as their mom, not their child, and especially not as their burden. How can I prevent being treated as a child? Perhaps by acting like a Godly parent: I must not exasperate my children. How can we train our adult children in the instruction of the Lord if we exasperate them? Our actions and our words must always promote peace and harmony. Do our children see God in us? We may not be able to teach them the same way we did when they were children living in our homes, but trust me, we are still training them. Someone is always training someone; in every interaction, every phone call, text, email, and FaceTime opportunity, and especially in the face-to-face moments, we are all training the generation above us and the one behind us, and they are training us. Are those moments honorable? Are they exasperating? Are they leading us closer to God, or further away from him? Are they promoting life-long relationships of love and honor and respect? Or are they divisive, disrespectful and hurtful? Granted, there are a lot of things in the world that are changing and quickly becoming unfamiliar to us and even more so for our parents. The list of things that our parents can no longer do for themselves is growing, as is ours. Nevertheless, that doesn’t mean we have the right to usurp the role of our parents, or to exasperate our children. I’ve watched some of my friends and family members become the parent, and I’ve watched some who have never commandeered that role, but consistently honored their parents, and there is a visible difference in the countenance, words, attitudes, and the burdens they bear. The load of those who assume the role of parent seems to become a very heavy burden that they seem anxious to let go of. Perhaps it is a burden they were never intended to bear. Those who honor their parents, as their parents, tend to have a sweeter relationship, and while the load is still there, it is not a burden. And, actually, they miss the load when it is gone. I am not perfect in this, I’m still trying to figure things out, I’m sure I’ve disappointed both my parents and my children, but thankfully, ours is a family of forgivers who try to live Biblically. The world will always try to lure us into its mold, its thinking, and its roles, but we can overcome the world in Christ, because he overcame the world. We don’t have to succumb to its penchant for making us victims of the Sandwich Generation, rather we can choose to participate in the blessings of the Sandwich Generation. From here on, I choose blessings. Thank you Marcia! This post is such a blessing to me! 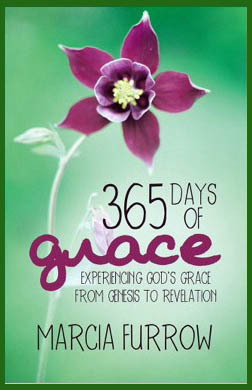 I will be praying about my caregiver roles in a new way because of it. Miss you! Love you! This is thoughtful and well written. The Lord truly guides your pen/fingers. Thank you, God is very gracious to me!